The long-time sponsor of Formula One Racing entered formally as a works team following the acquisition of Jaguar in November 2004. Red Bull Racing team is also known as Red Bull or RBR or Aston Martin Red Bull Racing is owned by beverage company Red Bull GmbH and Scuderia Toro Rosso. Red Bull's first year in Formula One, 2005 season was a massive success compared to their predecessors, Jaguar Racing. They were 6th in the Constructors' Championship for most of the season, only beaten by the fast-improving BAR Hondas at the end of the season. The experienced David Coulthard and two young drivers Christian Klien and Vitantonio Liuzzi were the drivers signed by RBR to race with their RB1 machine. They stuck to the same team for the following year as well finishing 7th at the constructors’ standings. Red Bull’s current technical chief Adrian Newey was poached way back during 2006 season, back when he was highly successful for McLaren as a technical director. Adrian Newey is infamously known for designing Ayrton Senna’s car which crashed at Imola taking away the life of three-time world champion. The scale of success that followed the team with each year was huge. With 6 victories en route to the second spot at constructors’ standings in 2009 season marked the start of their dominance. 2010 to 2013 simply had Red Bull Racing F1 throughout, giving rise to the youngest quadruple champion, Sebastian Vettel and also ended up claiming consecutive driver’s and constructor’s doubles in that time period. Though RB6 was quick enough to get both the titles in 2010 season, due to reliability niggles they powered themselves with RB7 which made Vettel literally unstoppable helping them to wrap both the titles with 3 rounds to spare. Then for the 2012 season, RBR had to move to RB8 as a ban on exhaust-blown diffusers was imposed. The following year Red Bull was back with the Renault-powered RB9, named as “Hungry Heidi” by Vettel who went on to claim his 4th consecutive title. After renaming themselves to Infiniti Red Bull and after the 4 massive years of dominance the team struggled to maintain it falling down to power unit issues for the following 2 years, which made them slip down the competitive order. Daniel Ricciardo who replaced Mark Webber for 2015 season is still being retained by the team extending their multi-year contract every year. 2016, in general, was a much stronger season for Red Bull Racing than 2015, especially after Max Verstappen replaced Daniil Kvyat. The combination of superb RB12 chassis and much-improved Renault power unit (now badged TAG Heuer) saw the team bouncing back to become Mercedes' only serious rivals for race victories. In 2017 too unable to keep pace with world champions Mercedes and a resurgent Ferrari, RBR dropped to third in the standings. Even so, Daniel Ricciardo and Max Verstappen prove their star quality by taking three wins between them. Though the 2018 season didn’t start off well for the Aston Martin sponsored Red Bull, suffering a double retirement at Bahrain GP, Red Bull Racing F1 team can never be written off who has consistently been a quality threat to their rivals, be it Mercedes or the Ferrari. The most successful driver for the F1 team has been Sebastian Vettel who won all the four F1 world championships for them. Christian Horner is the team principal and Adrian Newey designed the aero package for the car. The official engine and MGU-h supplier has been renault. 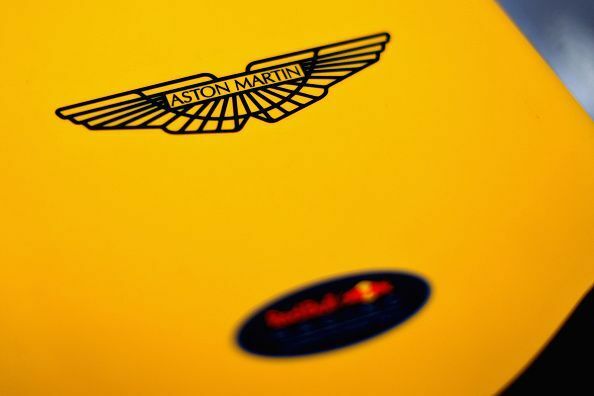 Aston Martin has replaced Infiniti and hence the team is called Aston Martin Red Bull Racing from the 2018 Formula One Season.